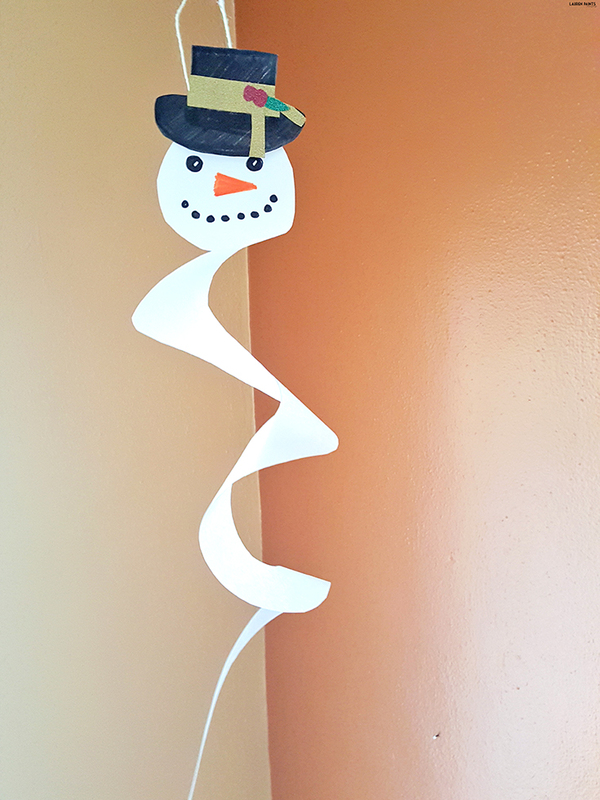 A Florida Snowman: DIY Simple Snowman Mobile Project! While I wasn't paid for this post, it does contain affiliate links. So this may shock some of you, but after a little bit of a cold front here in Florida, I'm kind of missing the snow. While I love the beach and the warm weather most of the time, sometimes I just want a day of cold snowy weather and a cup of hot cocoa while watching my hubby build the most beautiful snowman... I guess that's the midwestern-er in me. 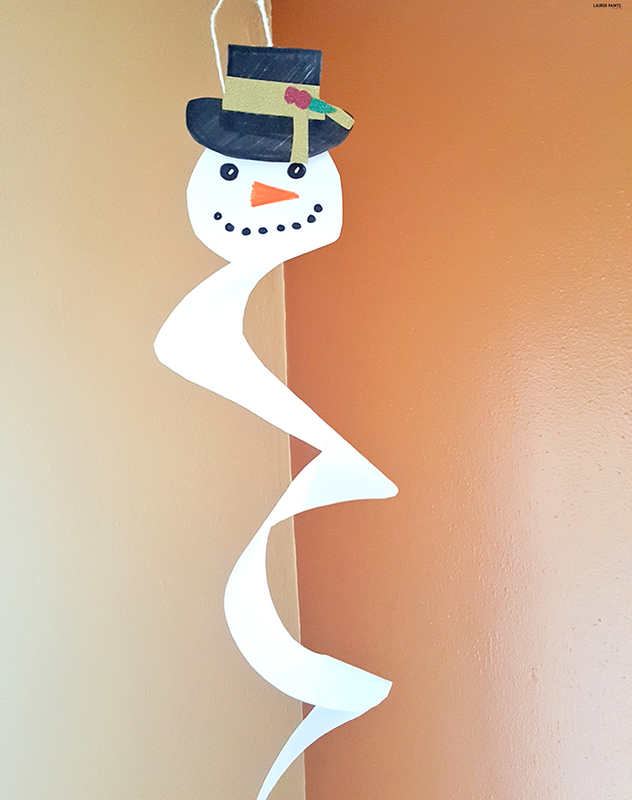 This little snowman is SO easy to build and the perfect indoor project if you are trying to avoid the cold... or reminiscing of cool weather memories, like I am. 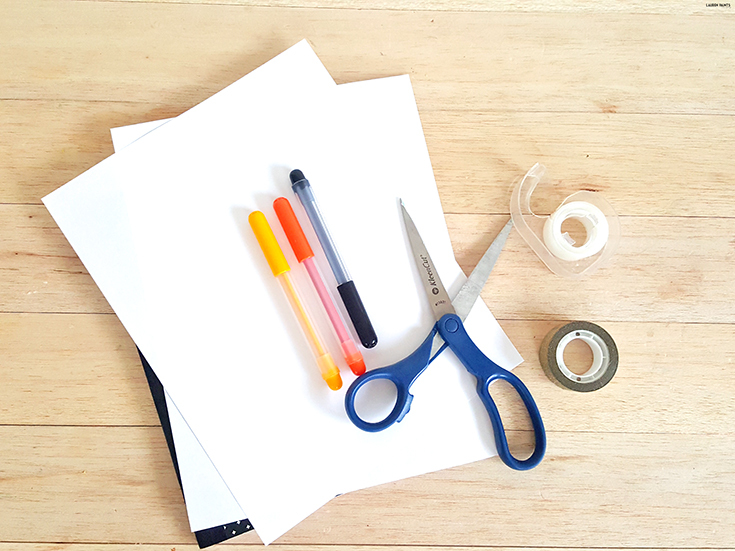 You'll begin by cutting out a large circle in the first piece of paper with your scissors. 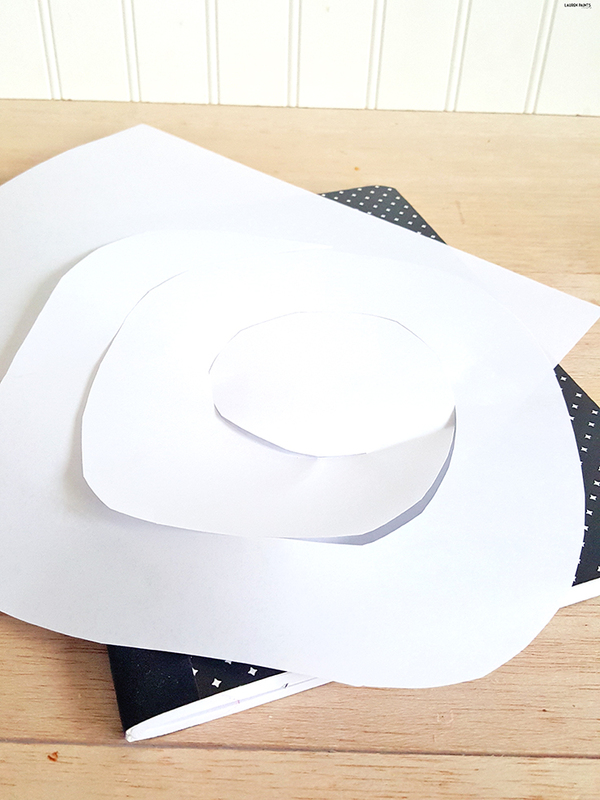 Once you have your circle, start on an edge and slowly cut a spiral into the paper, leaving a fairly decent sized full circle in the middle (this will be your snowman's head). 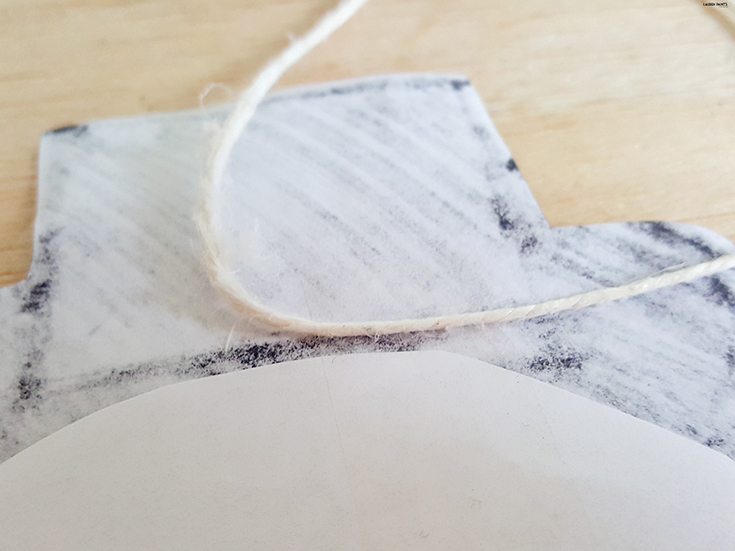 Draw a carrot nose, eyes & a mouth made of "buttons" on the inner circle and set this part of the project aside. Take the other piece of paper and draw a circle with a square in the middle and color the entire thing black. 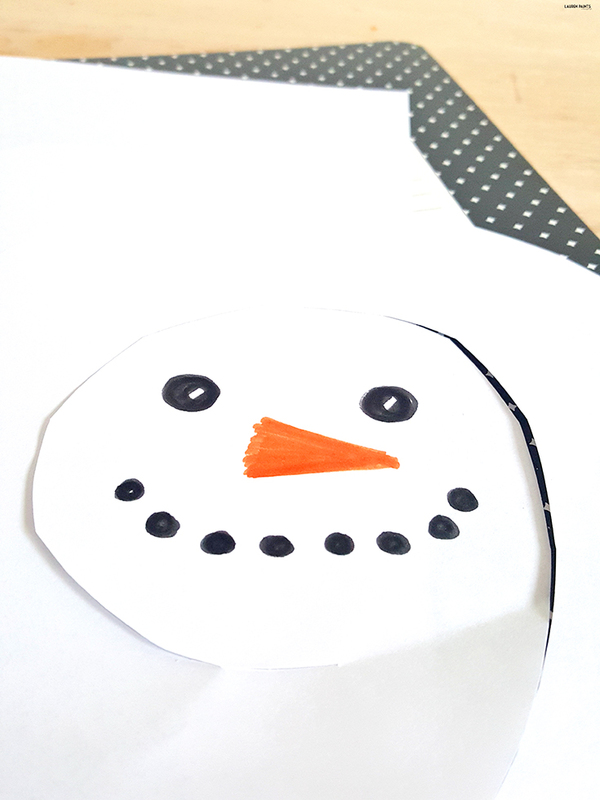 This will be your snowman's hat! 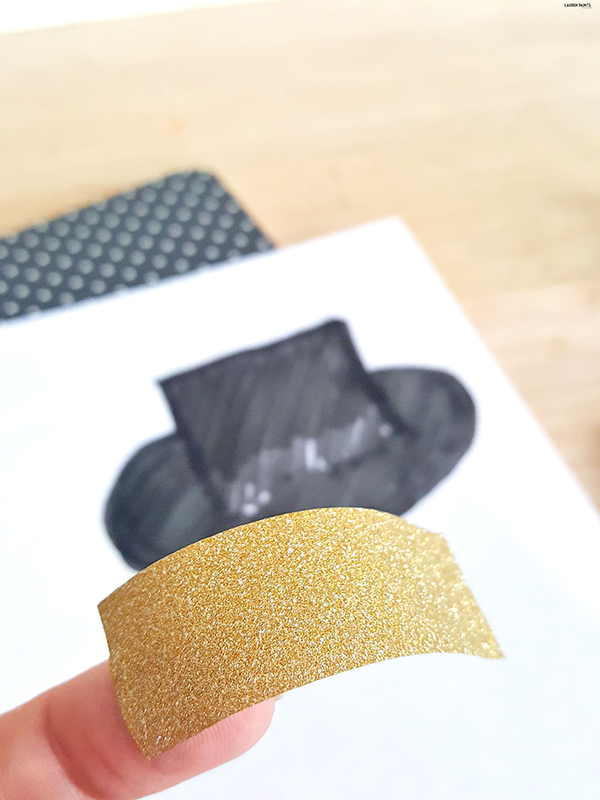 I added a piece of gold washi tape I cut into a "scarf" with washi tape berries and a leaf I cut out as well... but this is totally optional. 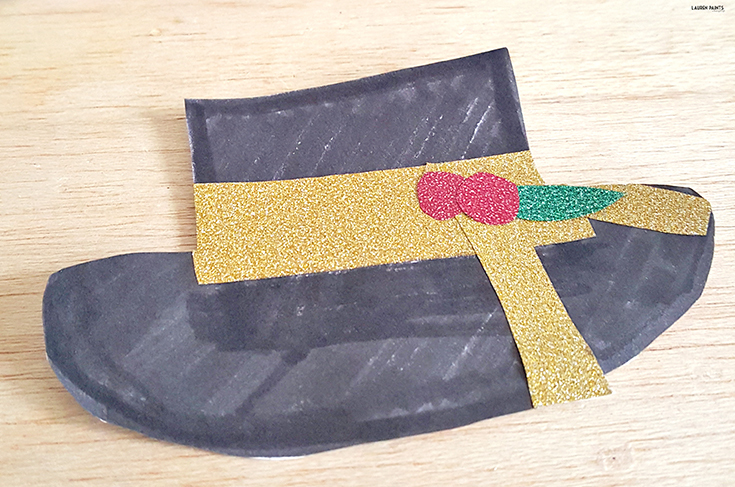 Now tape the hat onto your snowman and attach a piece of string from the piece of tape. 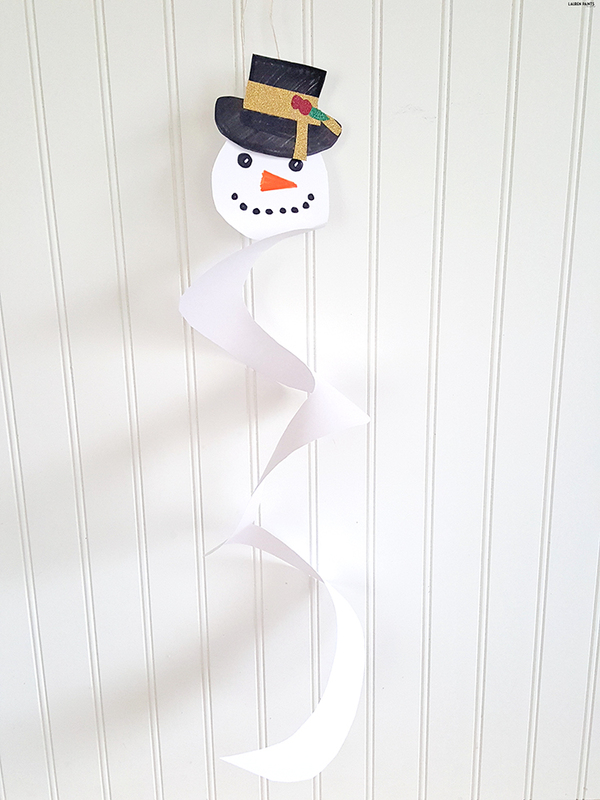 Your little guy is ready to hang out anywhere and bring a little bit of winter cheer to all that are near! So tell me, what's your favorite part of the cold weather lately? Do you love the chill in the air or the chance to play hooky on snow days? I can't wait to hear all about it in the comments below!